Check out this Color Sorting Jar Activity designed by Lavinia Pop from In My World! 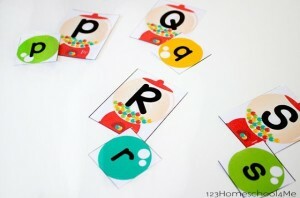 This printable activity includes four different color jars: red, orange, yellow, and green. It also includes sixteen different corresponding images, four for each color jar. To create the color sorting jar, you cut around the edges of each color jar. Then, you cut out all of the color pictures. Once all the pictures are cut out, you can mix and start sorting the objects into the same color jar! 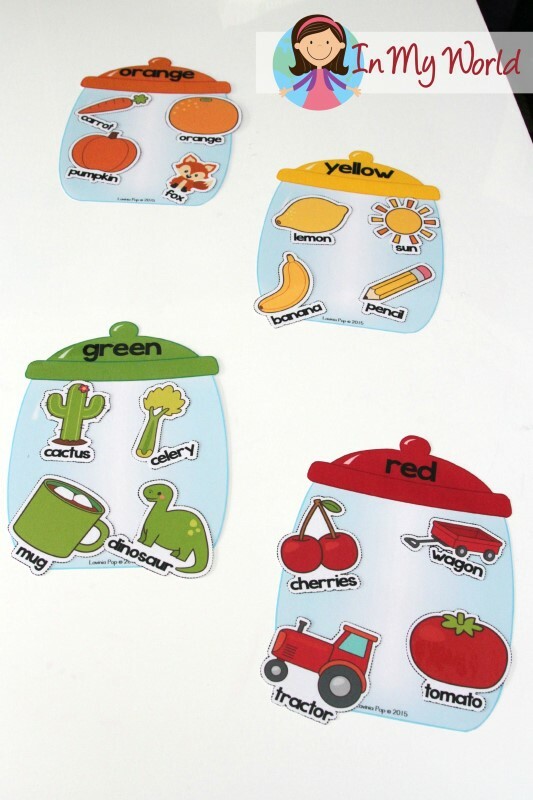 You can also use the jars for sorting different color objects from home or the classroom. 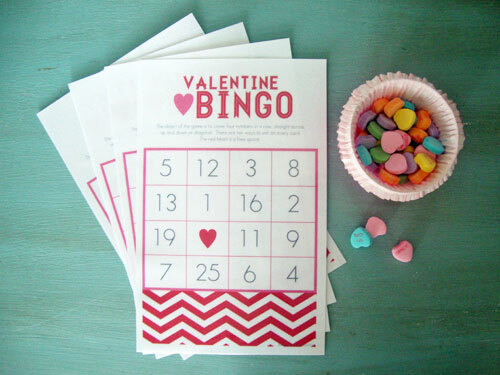 We recommend printing the activity on cardstock or laminating the jars and objects for longer use. To download this free printable click here. For more fun activities and ideas, you can read the full post from In My World here! 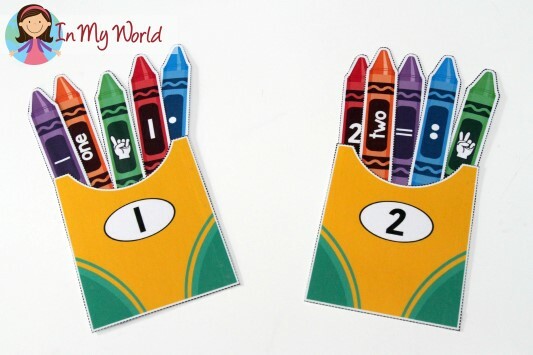 Get creative with this free number sorting activity designed by Lavinia Pop from In My World! This crayon inspired printable includes five different representations of a single number. 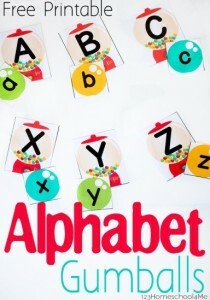 These symbols include line segments, dots, words, finger counting, as well as numerals. To create the crayon pouches, simply cut around the outer edges and fold along the dotted center line. Then glue, tape or staple the remaining bottom and side edges. Once complete, cut out all the crayons and mix to start sorting! 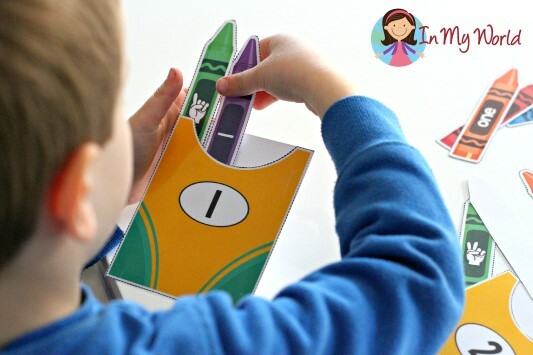 We recommend printing the activity on cardstock or laminating the crayons and pockets for longer use. To download this free printable click here and for more math literacy activities and ideas, you can read the full post from In My World here! 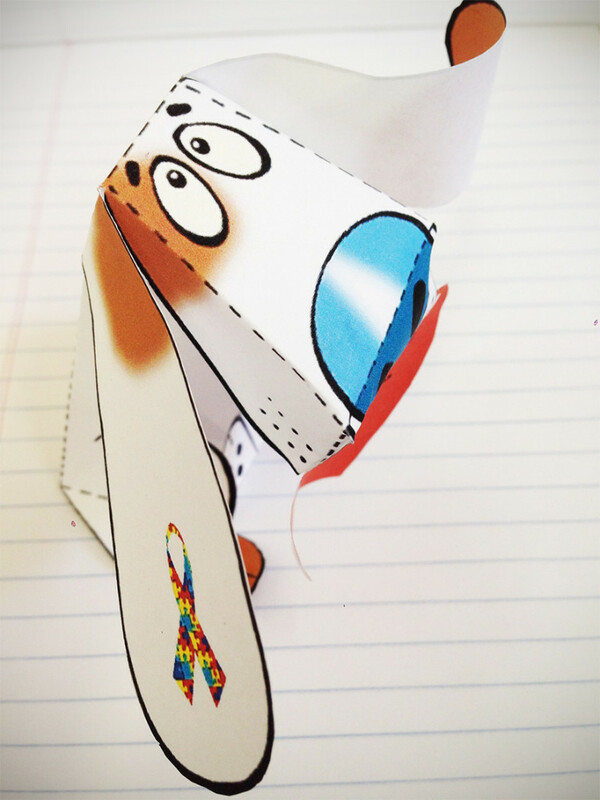 Share the awareness for Autism in the classroom, office, or room at home with this adorable cut-and-fold “I Love Someone with Autism” paper dog. We came across this easy-to-assemble template and thought we’d share it with all of you to display in the spirit of Autism Awareness Month. 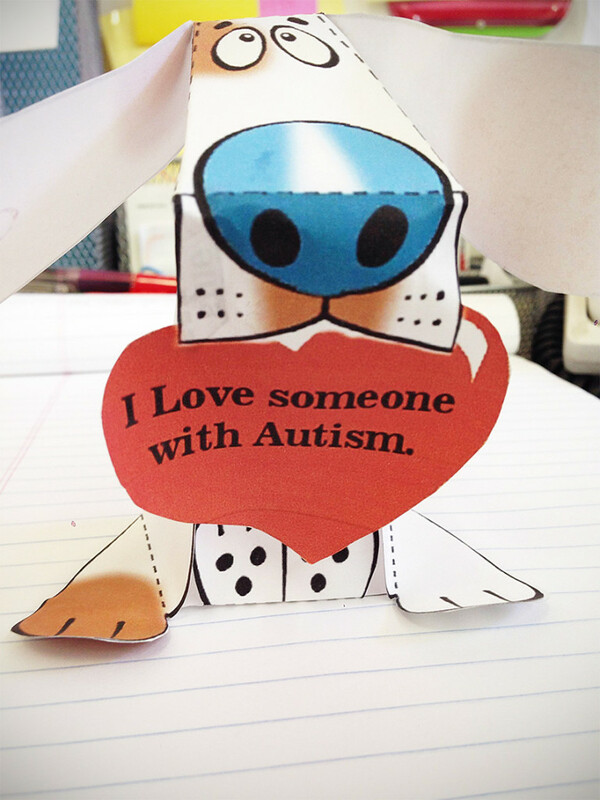 Holding a heart-shaped sign with the words “I Love Someone with Autism,” and with a rainbow autism awareness ribbon on his right ear, this cut-and-fold toy dog can be a wonderful display on a desk or side table in your classroom, office, or room. 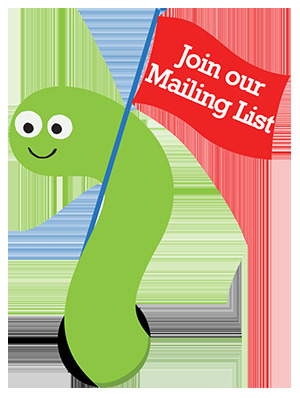 Don’t forget to download your free template here and let us know how you found other ways to make this activity more fun with you and your child.